The Runner | How Much Is The Surrey LRT Going to Cost Anyway? How Much Is The Surrey LRT Going to Cost Anyway? 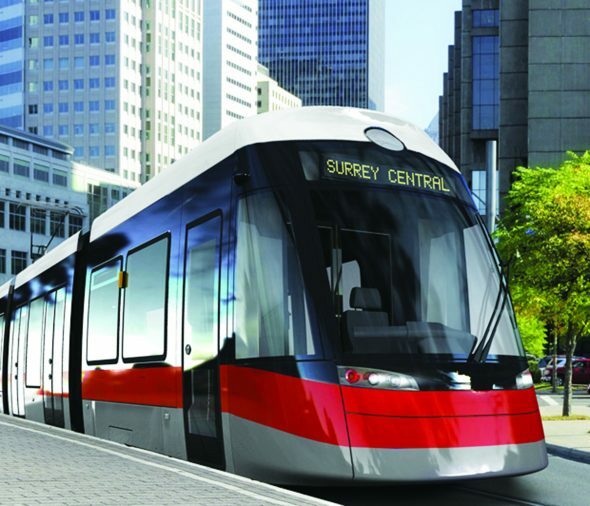 The final cost of the Surrey Light Rail Transit project has not been released to the public. This is because the cost is dependent on when construction will actually take place—a topic still being debated—and is dependent on the value of the land that it will be built on. The cost of property is always climbing in a rapidly growing area like Surrey, which is estimated to have 300,000 new residents over the next 30 years, according to the City of Surrey website. With the value of land increasing as more and more people need space to live in, the cost of building the LRT can only go up. In 2014, the cost was estimated at $2.14 billion. As of 2016 it was $2.6 billion. Now, in 2018, the public seems to have no real idea of the cost of construction alone, not including operating costs or the cost of potential accidents. Without being able to accurately say whether or not light rail will be worth its dollar value, those of us living in the Lower Mainland ought to give the project another look. Light Rail Transit is, to some, a really expensive B-line. They go approximately 30 kilometers per hour, obstruct traffic, and don’t provide an option for commuters that’s any significant improvement on driving. With most residents in Surrey already preferring to drive rather than take public transit, and 300,000 new residents expected to arrive in the next few decades, just imagine the traffic—and all of the emissions those vehicles will produce. To anyone who needs to get from point A to point B, and doesn’t have a car or a driver’s license to help them get there, it’s clear that Surrey needs a reliable transit system. The LRT, however, might not provide enough transportation to be worth the trouble. The current plan for the project provides no service to South Surrey or White Rock and hardly takes into account the effects of construction on already chaotic streets like 104 Avenue. The LRT is said to have a higher capacity than SkyTrains in the area, which would be great if drivers were interested in switching over to public transit, but that option is only worthwhile if the LRT could get them to work faster at peak times than driving does. Many Surrey SkyTrain naysayers look to the Canada Line as a “White Elephant,” being a project that costs too much and doesn’t provide enough help to warrant the price tag. They think an extension of the Expo Line into Surrey would be the same. I disagree. If you have ever had to take a SkyTrain back to Surrey, you know that enough people are on that thing to support an extension of any kind. SkyTrain, LRT, or otherwise, Surrey is going to need something to transport its citizens, and fast. A judgement of the LRT project cannot be accurately made, however, without a proper analysis of the overall cost, which should be accurately estimated and released to the public. This is a democracy, after all, and the public deserves to be informed. Regardless of your stance on the project, it’s kind of sketchy that nobody seems to know just how expensive this is going to be.